I’m actually 17 weeks pregnant this week, but these pictures are from last week. We had a couple of crazy snowstorms here in Kansas City the last couple of weeks that left us without power and internet. Surprisingly, our power was restored in a day, but for some reason the internet took nearly a week to fix. What a relief to have that back now! 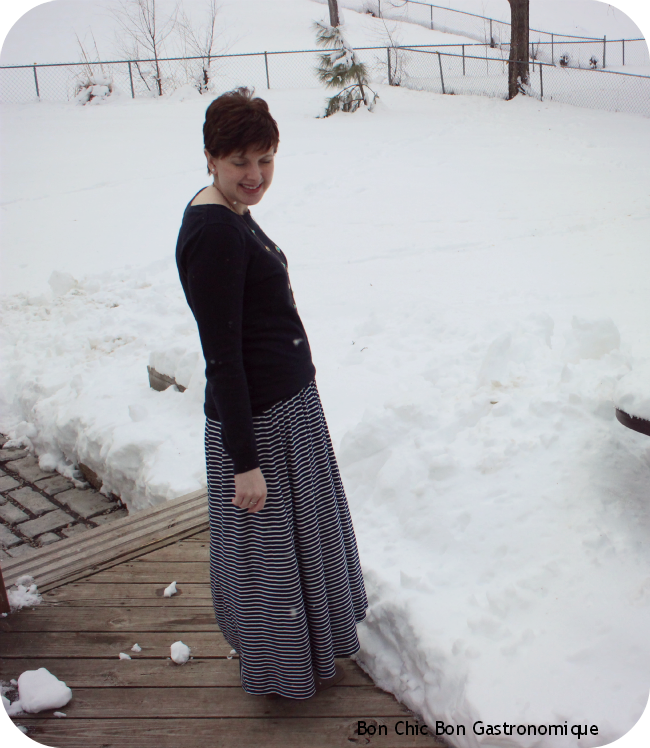 This skirt is my first maternity purchase, because as many of you predicted, maxi skirts are heavenly right now. I only had one and I just had to get another. I didn’t like any of the ones in Target’s regular department, so when I spotted this one from Liz Lange Maternity I went for it even though my belly looks more too-much-ice cream than rounded-with-child. You are looking fabulous! How are you feeling? 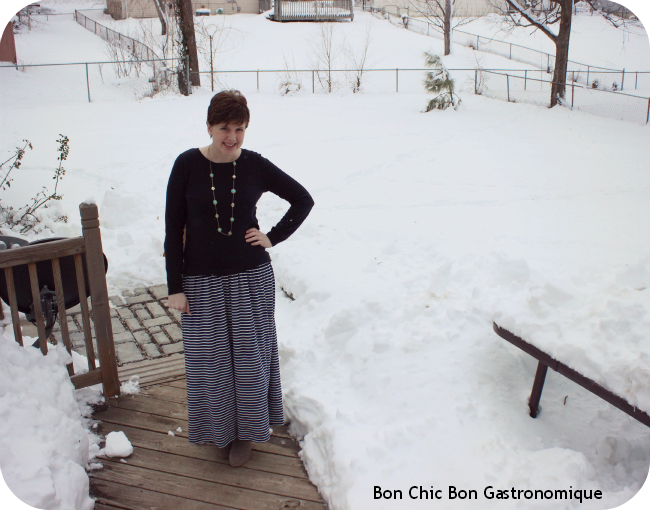 A good maxi skirt will last you through your pregnancy...great pick!